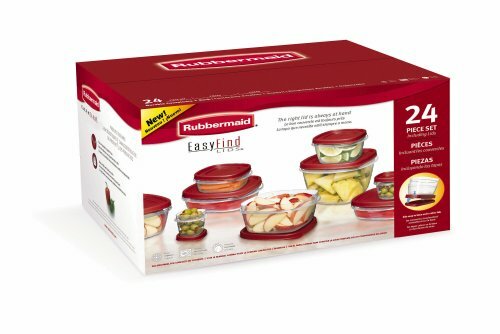 This Rubbermaid Storage Set is actually on my Christmas list this year! So, when I saw it was marked down to only $11.00 from $19.99 on Amazon.com, I was excited to share it with everyone. In addition to the great price, it is eligible for Free Shipping, when you make a purchase of $25.00 or more. Why not pick up 3 of these for only $33.00 total — they make great gifts for housewarming and weddings too!